The New School of San Francisco demonstrates a holistic, 21st century education that instills a love of learning now, and prepares students and families for success in the future. All San Francisco students receive an education that is equal to their extraordinary potential regardless of their background. 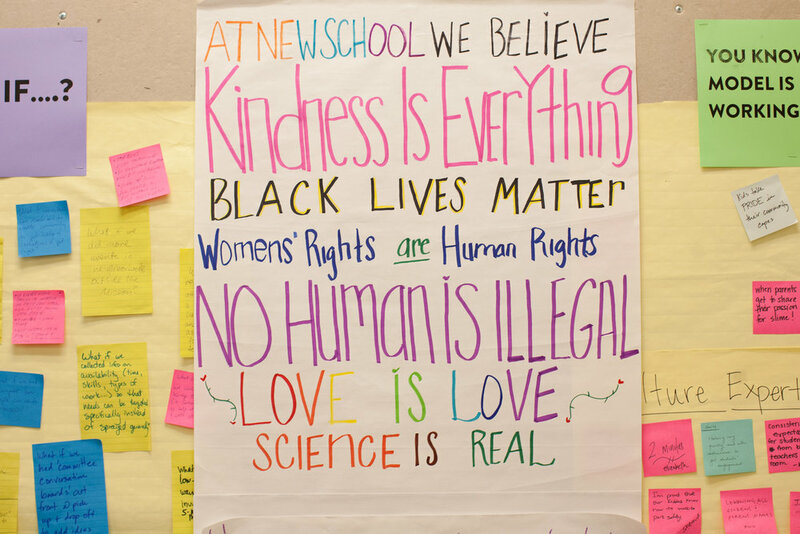 The New School of San Francisco believes all children benefit from an intentionally diverse learning environment. We continue to work towards our goal of a student population that roughly mirrors that of the city of San Francisco. Our charter petition was authorized by the California State Board of Education on March 12, 2015 and serves to guide all our decisions and policies. The petition details all aspects of our school model, including but not limited to: our vision, educational philosophy, hiring, governance structure, admission policies, emergency procedures and recruitment plan. Additionally, all documents related to establishing NSSF as a nonprofit organization such as our 501c3 determination letter, bylaws, articles of incorporation and board policy can be found below. Similar to all public schools in California, New School SF is a member of a Special Education Local Planning Area (SELPA) to support our special education program. We are members of the El Dorado SELPA and operate as a Local Education Agency (LEA).